Recently, I was involved in the development and implementation of the electronic funds transfer in offline mode. The destination was Dhaka, Bangladesh. 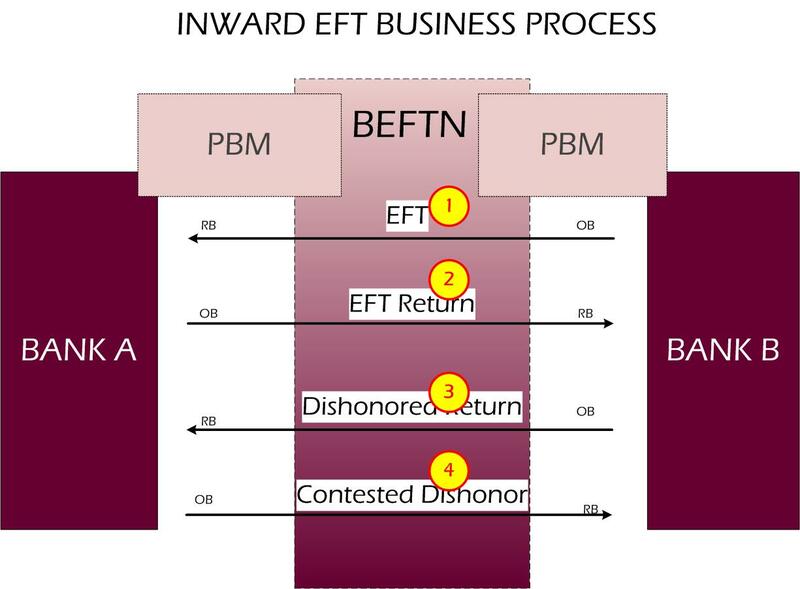 The inward processing of EFT was imposed by the central bank, that all banks needed to pass the SIT with the central bank's central server. Offline-mode meaning, that transaction would settle the next day; contrary to the middleware/switch concept, that a customer is standing on a channel(ATM, for instance) and waiting for the transaction to be processed then and there.The middleware that the central bank was using was called PBM (Participant banking module) server. The central bank hired a American consulting company to implement the central server; the company had similar experience of implementing the Clearing Houses (CA); somehow that I couldn't understand, the company suggested the central bank to use the twisted format of NACHA format. By *twisted* I mean, they turned the length based format into XML. Now XML is good, but not utilizing the powers of XML is not good. This means, we were provided with the XML format without providing the XSD schema, which the core of an XML, especially when you plan to exchange the data in huge amounts, and with a large customer base. Btw, in case if you are interested in the consulting company, it is called Radix Consulting, run by "famous-in-the-payment-solutions-industry" George Thomas. He is an nice person with a wealth of clearing house business knowledge. When I started with the training sessions, users were unable to understand their business process, so I had to come up with following simple visual. This turned out to be very helpful for them. Usually, the business process of inward clearing would be same in any banking industry, with a plus or minus one. This is for inward clearing, which means processing of credits only, which was made mandatory by the central bank. This is for those who want to understand the offline electronic funds transfer process; turning business classes into services.